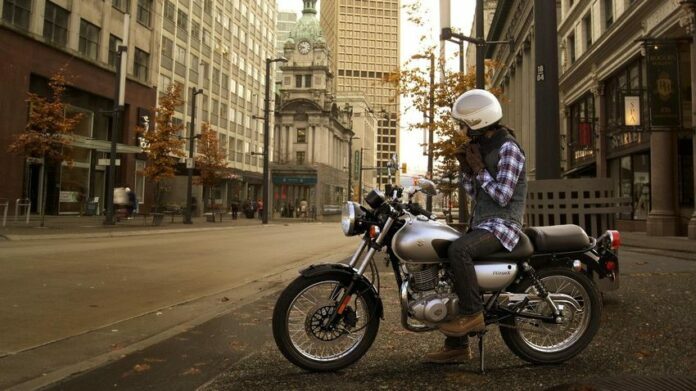 Are you looking for a nice motorcycle that will help you ride through the city streets? 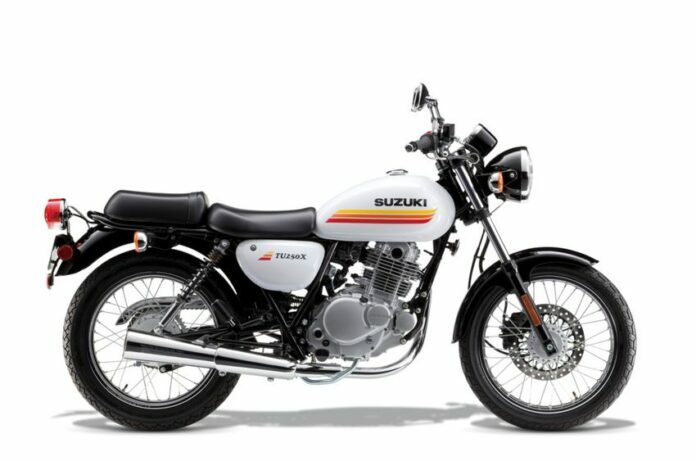 Suzuki is preparing the TU 250X for 2019 and this might be the right bike for you. It is built in a way to suit the urban environment and residential areas. To learn more about it, keep on reading. Since the bike was introduced for the first time, it hasn’t changed almost at all. 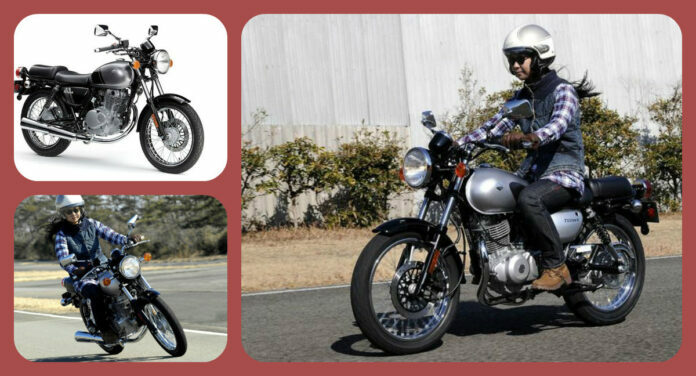 This model is recognizable for its old-school appearance and those who love this retro look will adore this bike. 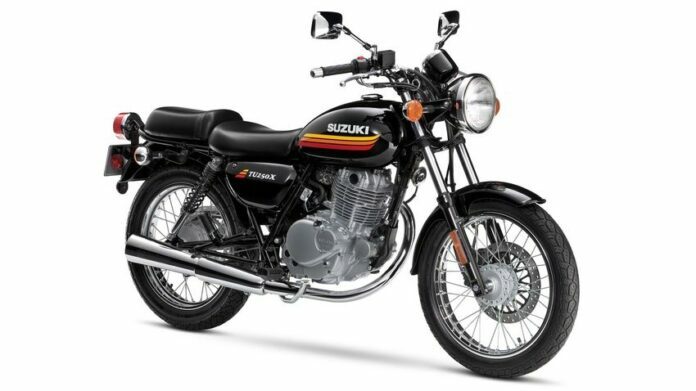 It debuted in 1994 as a replacement to the GN250 and it reached the US market in 2009. Since then, it had two short breaks in 2010 and 2014 but the new model is now here. 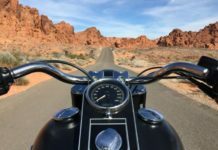 The retro bike comes with a recognizable fuel tank shape and pinchweld flanges can be seen where the tank comes together. 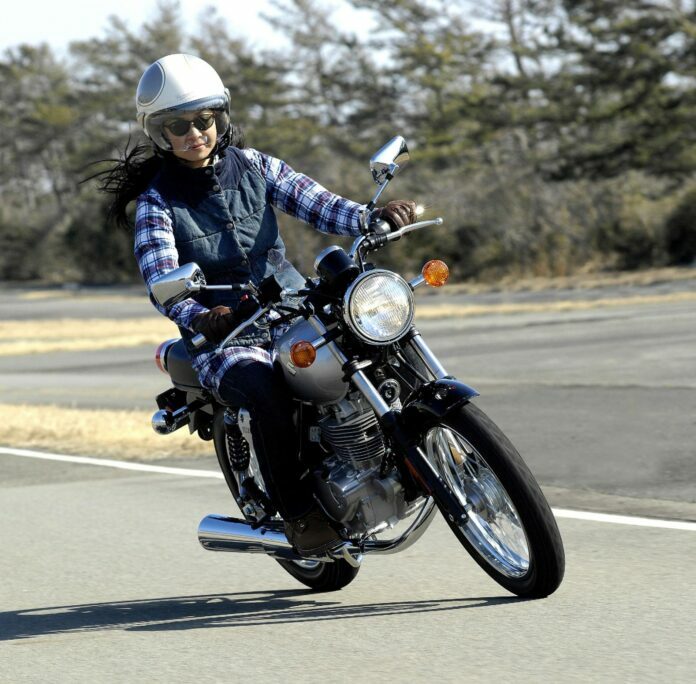 Thanks to a kneepad grip on the sides of the fuel tank, you can place your knees there during turns. In the meantime, the rear turn signal standoffs should be something you are aware off before you decide to buy this bike. Actually, it presents a problem for the passenger who will have to sit and then slide back when mounting. Also, the passenger will have to slide forward before dismounting. Otherwise, the standoff will most likely be hit with a thigh. In case they are hit with a leg, they can break of quite easily and this is something you shouldn’t learn when it happens. 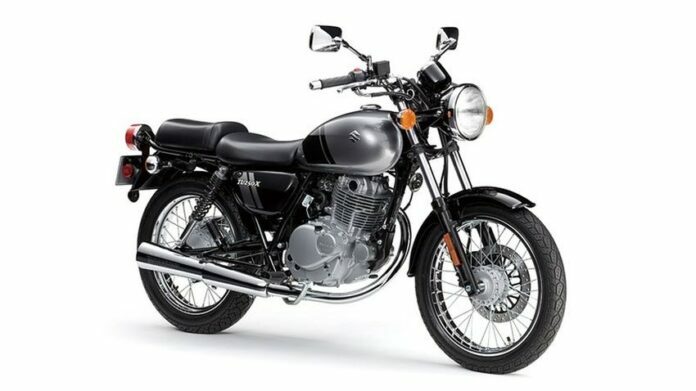 When preparing its TU 250X, Suzuki was not content with adding several retro components on the contemporary frame and be done with it. That is why the company designed this bike from the ground up. The base of this bike is a tubular steel frame and it uses the engine as a stressed member in the diamond-shaped engine compartment. With such approach, the manufacturer managed to get a lightweight bike that is powerful with the engine that is exposed at all times. 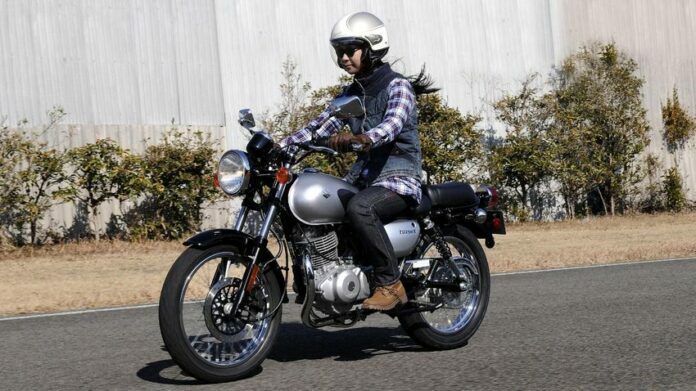 Meanwhile, the rolling gear is symmetrical with 18-inch laced rims placed at the front and the rear end. The front wheel is equipped with a twin-piston hydraulic caliper and disc whereas the rear one features a mechanical drum brake, which is quite light and sufficient for this type of bike. The company hasn’t provided any performance figures at this point, but considering that the unit hasn’t been changed since 2009 we already know what to expect. The tests show that the mill delivers 16 horsepower and 12.5 lb-ft of torque while the top speed is 75 mph. Last but not least, the company added an easy-pull clutch to go with the engine and a five-speed transmission. When pricing is concerned, the 2019 Suzuki TU 250X is quite affordable. 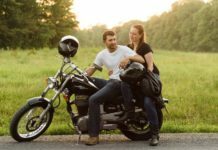 The starting cost of the bike is $4,649, plus you will get a 12-month, unlimited mileage, limited warranty, which is quite a good deal. Two colors are available – Glass Sparkle Black and two-tone Glass Sparkle Black/Pearl Glacier White. The choice is up to you! For a bike that costs under $5k, this is quite a good deal. 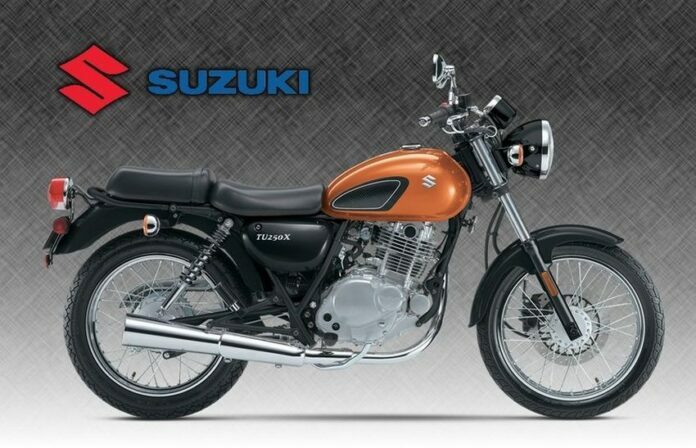 What do you think about the new Suzuki?